Home › Culture › Who Gave This Ring to Her Lover? The courtly love, inspired by knight’s ballads and tales, was a practice that emerged on the European continent in the 1100s. It was not uncommon for a noblewoman to have a lover, and that she presented him gifts. Today, the inscription can seem formal, but at the time this was the closest we get a real declaration of love. Often, courtly love had a ritual character. One important rule was that it had to be kept secret. When the young lover was accepted, he could receive a ring from the often somewhat older woman. Today, the Veøya Island is uninhabited, while in the Middle Ages an important trading place was located on the island. 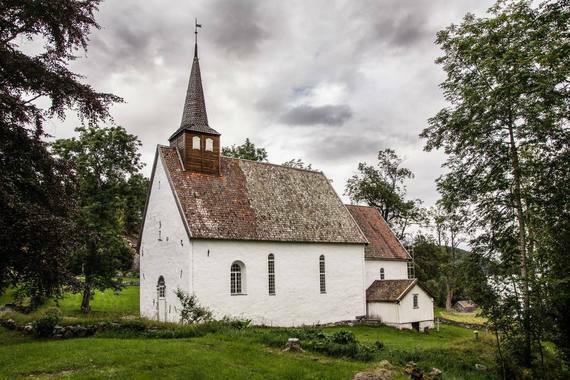 The first part of the name probably originates from the Old Norse vé, which means sanctuary, and the small island is mentioned in written sources dating back to 1162 AD. One theory of how the ring ended up here is that Eric, who was a young and handsome nobleman, traveled to visit relatives in Normandy, France – an area that had been populated by Scandinavians since 911 AD when the fiefdom of Normandy was created for the Viking leader Rollo. Eric meets the some years older and married noblewoman Anne Marie (A.M.). They fall in love and start a love affair. When Erik is going to travel back to Norway, he receives the ring as proof that she always will be faithful to the love of her life. Time passes, and Eric meets a beautiful woman on Veøya who he wants to impress. 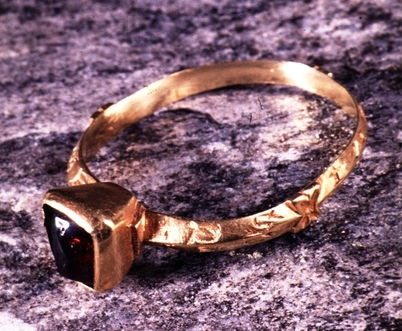 He takes off the ring he got from Anne Marie and hides it inside the cemetery wall. Eric and Anne Marie never meet again, but the proof of their love will live forever. Fascinating. Takes me back to my college days studying medieval German and French literature. Minnelied, Gotfried von Strasburg, And Tristan und Isolde. I must re-read!